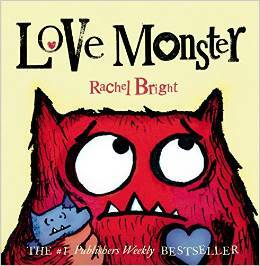 Have you read the book Love Monster by Rachel Bright? It is such a darling book and is a fun read for Valentine’s Day. 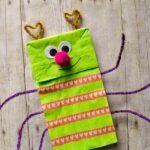 We have been reading it every day recently and made this cute Love Monster Paper Bag Puppet Kids Craft to go along with it. 2. 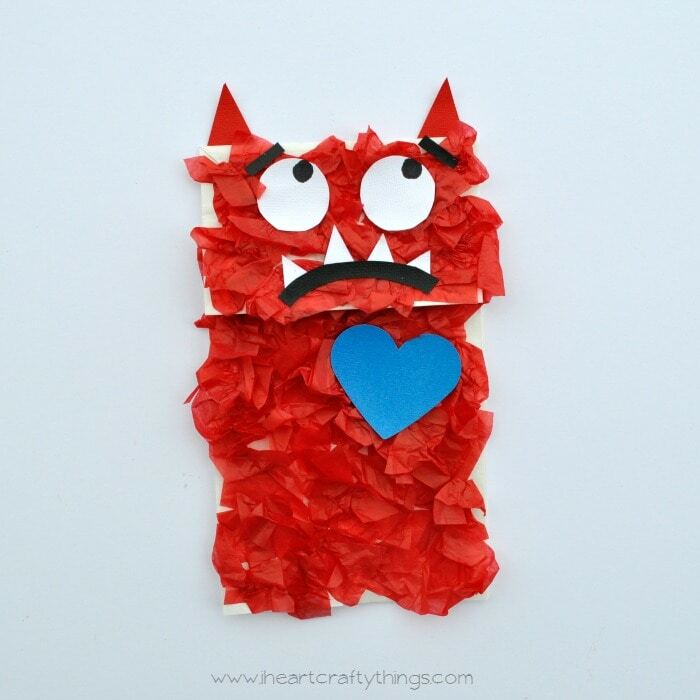 Cut out the pieces you need for your monster from your red, white, black and blue cardstock paper. 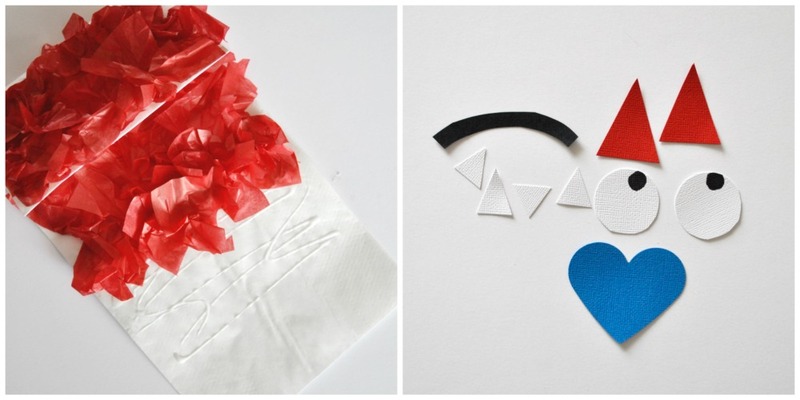 You will need 2 white circles for the eyes (about 1-1.5 inches in diameter), 2 red triangle ears, 1 black mouth, 4 small white teeth, a blue heart and if you want you can cut out 2 eyebrows. 3. 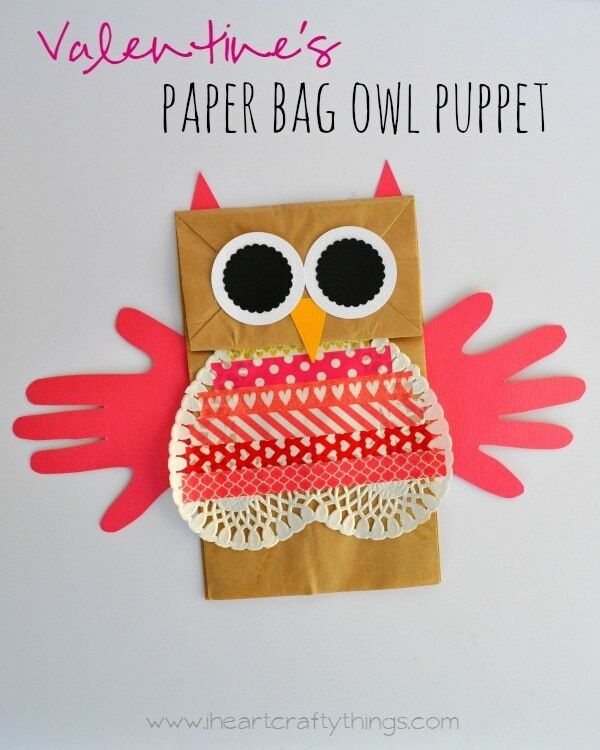 Glue all the monster pieces onto the face of your paper bag. Use your black marker to draw pupils inside your eyes. 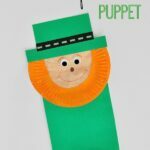 Once it is dry, put your hand inside your puppet and pretend to talk like a love monster. You can purchase Love Monster on Amazon! 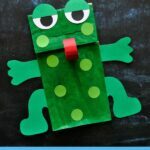 We read the Love Monster by Rachel Bright during Valentine’s Day party at the preschool I work at. 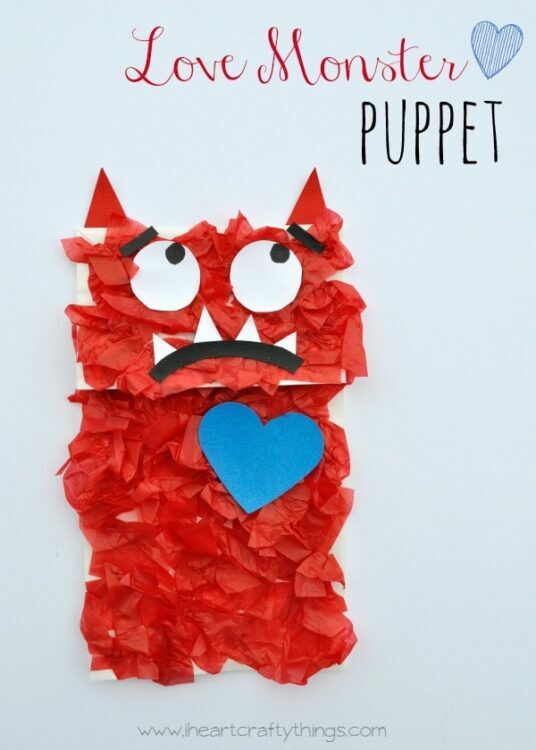 The student’s loved the story but they loved to make their own love monster even more. After they created their love monster we talked about how they are all unique and their challenge was to go home and use their puppet to retell the story to their family. Many families have been telling me they are still hearing about this at home! Thanks for the great idea! Awww!! This is fabulous! Thank you so much for your comment! It has made my day!